How to change roles and permissions of a user? There are multiple different roles, rights and permissions in pr.co. 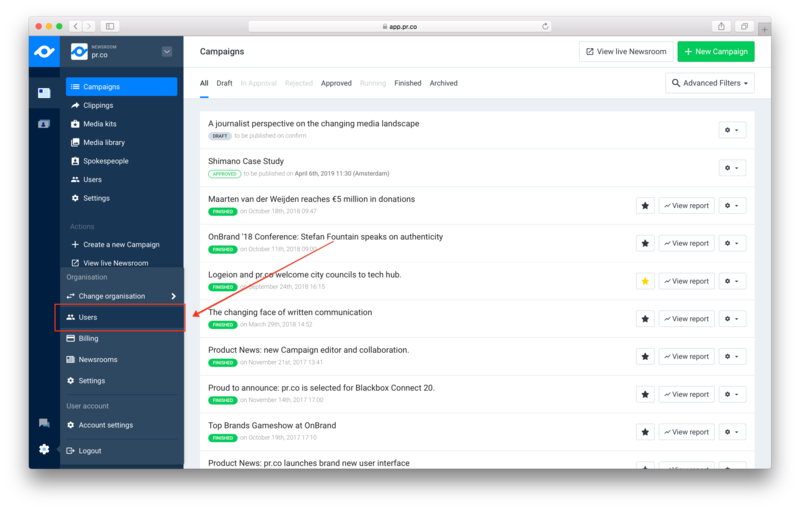 Here's how to correctly set up every user in pr.co. 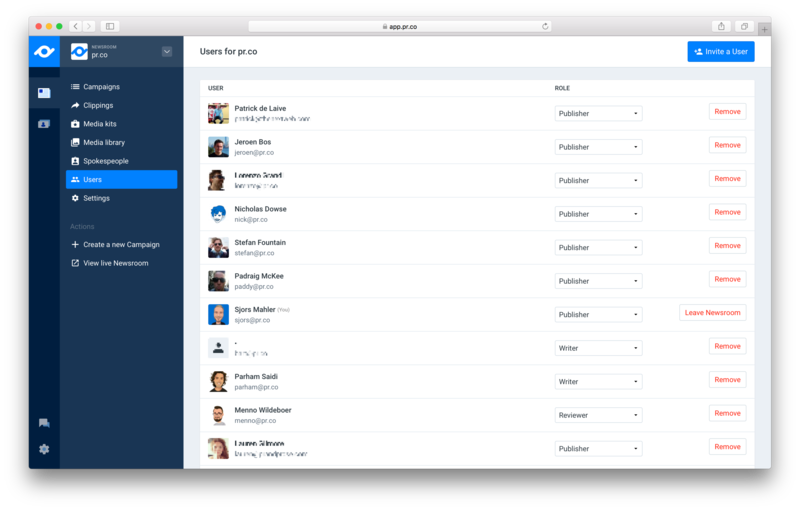 There are two ways you can change permissions on a user: on the organisation's level, or on a newsroom level (if you're using our Collaborate add-on). On an organisational level, you can change a user's permissions from user to admin. The difference between the two is that admins will be able to access billing information, and remove other users from the account. This will open a new view, with an overview of all your users. Behind the user names, you'll be able to change their permissions.